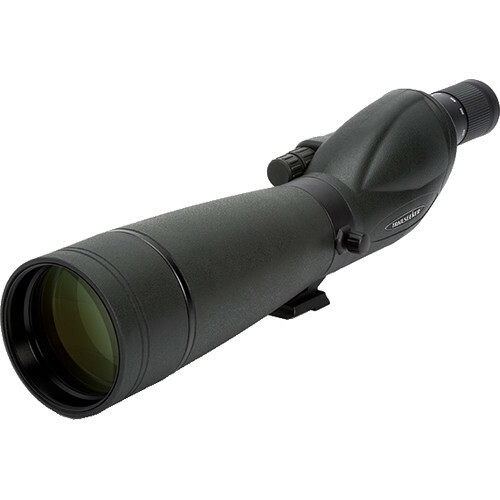 The 45° angled-viewing TrailSeeker 100 22-67x100 Spotting Scope by Celestron features a versatile 22-67x zoom eyepiece to provide views from generous vistas at the lower power to tight, detailed images at the higher end. 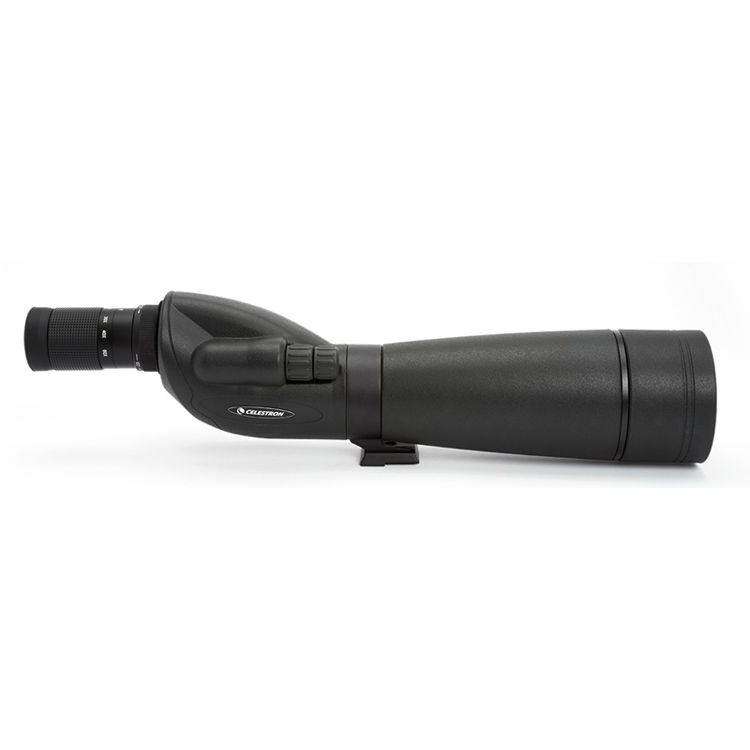 The 100mm objective lens possesses light-gathering capability superior to that of scopes with smaller lenses, which makes for a bright image and enhances the scope's capabilities in low-light conditions. Proprietary anti-reflection XLT fully multicoated optics allow for efficient light transmission through the optical path for crisp, high-contrast views. The angled eyepiece permits comfortable glassing whether standing, sitting or lying flat on the ground. Dual focus offers precise image control by allowing a preliminary coarse focus, which you can then refine using the fine focus control for a tack-sharp view. 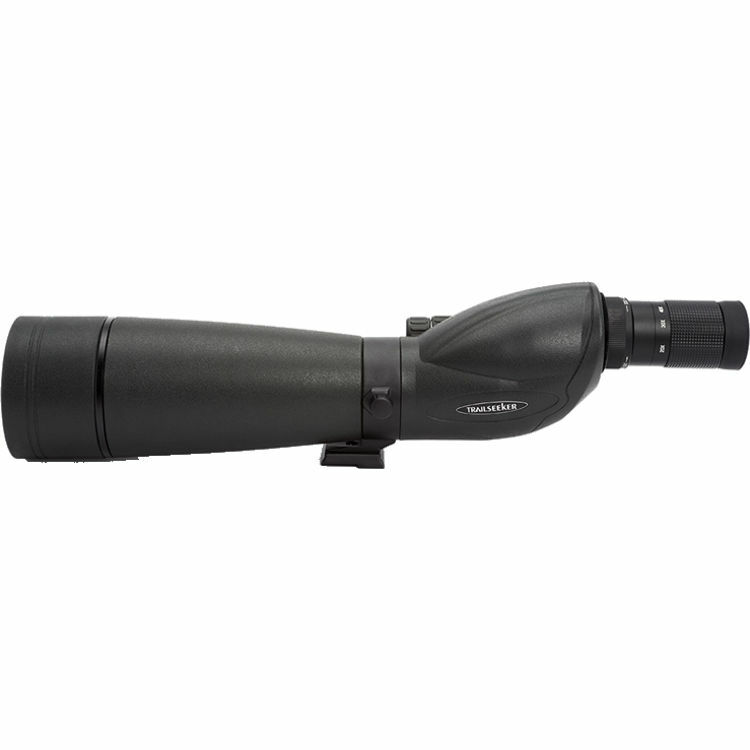 You can rotate the scope a full 360° for easy viewing through the eyepiece from any position. The TrailSeeker 100 has a nitrogen-filled waterproof housing that won't fog up in humid conditions and features a sliding sunshade to keep glare or raindrops off the objective lens. 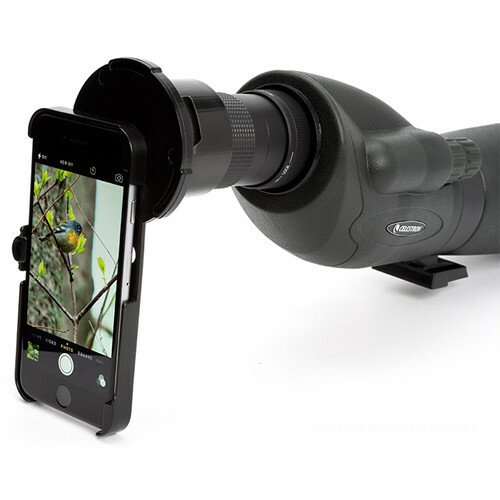 To facilitate digiscoping, a T-adapter is included so you can mount a T-ring compatible with your DSLR to the eyepiece. 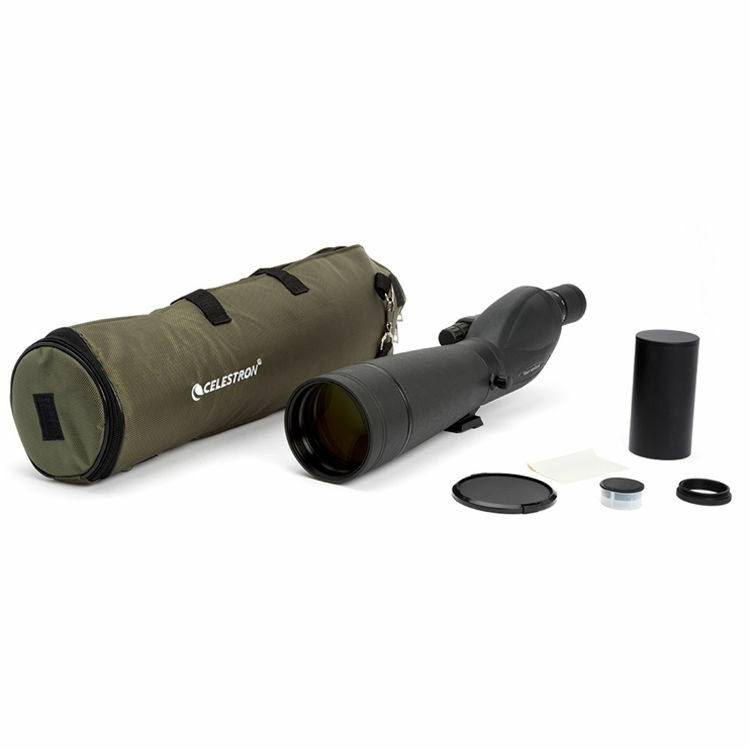 For adverse weather conditions, a stay-on carrying case is included which can be left on the scope during use – zippers fore and aft open for the objective lens and the eyepiece. 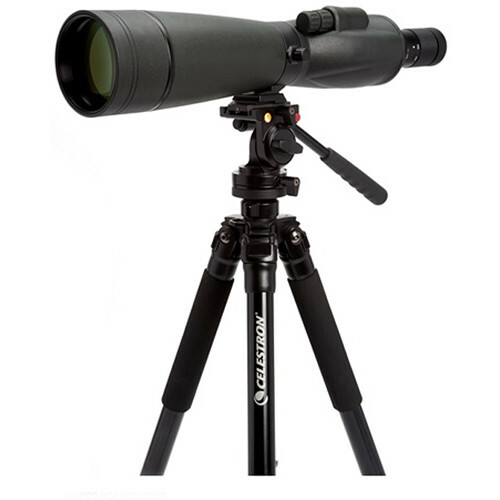 The TrailSeeker is designed to use standard 1.25" astronomical eyepieces, so in addition to the included zoom eyepiece, you can use other eyepieces on your spotting scope to achieve higher magnifications, wider fields of view, etc. 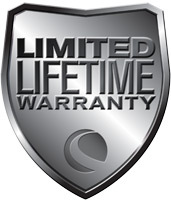 A tripod balance plate is also included. Box Dimensions (LxWxH) 25.0 x 9.0 x 6.1"